Plaid Cymru the Party of Wales have challenged Wrexham County Borough Council’s decision to ignore Splash Magic in their successful bid for a Welsh Government Sports Facilities Capital Loan Scheme. It was announced yesterday that the council had been successful in its application for a £1m loan from the Welsh Government and will use the funds to refurbish and improve Waterworld and Chirk Leisure Centre. The Council have announced that they will go into partnership with Sussex-based Freedom Leisure to help run these leisure services. Mabon ap Gwynfor, Plaid Cymru the Party of Wales’ candidate for Clwyd South, said: “This is good news for Chirk and Wrexham and I welcome the proposed investment in both sites. We had argued strongly against the council’s original plans, put forward three years ago, to close Waterworld, a proposal based on an external report which cost the council tens of thousands and has proved to be flawed. 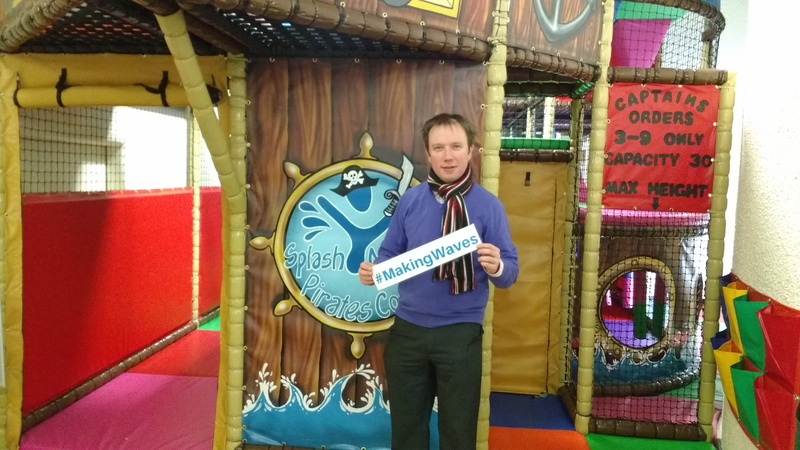 “But the £1m investment is a real kick in the teeth for the communities served by Splash Magic and those volunteers who continue to work so hard to make the place work. It’s a spiteful snub and demonstrates a lack of strategic thinking. “The Council failed to invest in Plas Madoc and ran the place down, even though it was much loved, widely used and much needed. Splash is run by a not-for profit community trust made up of committed local volunteers. It’s ironic therefore that the Council have agreed to go into partnership with a Sussex-based not-for-profit organisation to run Waterworld while they have a committed and effective not-for-profit organisation running a successful leisure centre right on their doorstep. By ignoring Splash and going for Freedom leisure it shows that the Council have no trust in the people they’re meant to serve, which is disrespectful and insulting. “We have faith in our people here, and I am calling on Wrexham Council to reconsider their decision and go into partnership with Splash by allowing them to access some of this loan”.